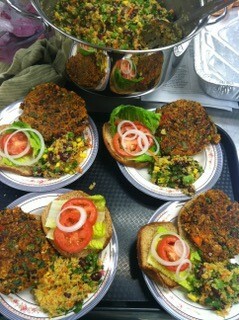 In September come for Mastering the Veggie Burger from Scratch! Learn how to create delicious and satisfying meals using all plant-based food products and ingredients. This hands-on culinary lab gives you an opportunity to practice making recipes, taste test new products, and learn to create new healthy versions of many of our favorite foods. You can have it all... plant-based! Come join us and discover the delicious world of vegan cooking. An apron is recommended, food handler gloves provided. All ages welcome.